Very much, as the title says, the wrong goodbye; none of the Raymond Chandler allusions are to The Long Goodbye — mostly from “Red Wind” and The Big Sleep. Cultural references in #1, many to pop culture or food: Drake’s Cakes; Dingburger polka-dotted muu-muus; the Seinfeld tv show; accountants; Duluth MN (probably just to savor the name); 7-11 convenience stores; potato salad; cough syrup; clam juice (a frequent element in Zippy strips); cheeseburgers; Big Boy fast-food restaurants (note fiberglass Big Boy figure in the last panel). Drake’s Cakes is a brand of American baked goods. The company was founded by Newman E. Drake in 1896 in Harlem, New York as The N.E. Drake Baking Company, but it is now owned by McKee Foods. 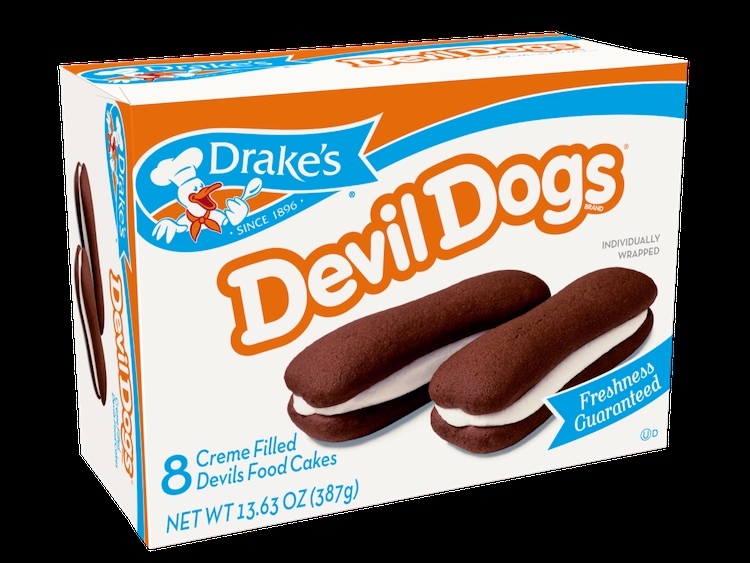 The company makes snack cake products such as Devil Dogs, Funny Bones, Coffee Cakes, Ring Dings, and Yodels. Drake’s has traditionally been marketed primarily in the Northeastern U.S., but it expanded to the Mid-Atlantic and Southeastern U.S. regions in 2016. This entry was posted on June 12, 2018 at 10:48 am and is filed under Books, Language and food, Linguistics in the comics, Parody. You can follow any responses to this entry through the RSS 2.0 feed. You can leave a response, or trackback from your own site.